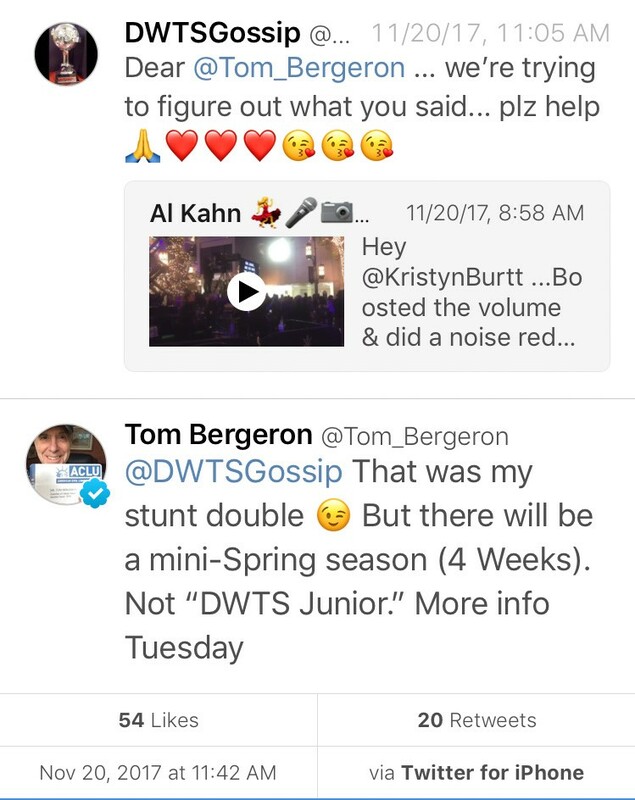 Yesterday, Tom Bergeron answered some questions from fans at his twitter account. In one of them, he tweeted on how he doesn’t think there will ever be a short season of Dancing With The Stars again (thank goodness!!). He also defended the show and why they did it. Read below. For more, see Tom’s twitter account. Today, Tom Bergeron and some of the pros and celebs visited and danced for the children at the Children’s Hospital in LA. I’m such a proud Dancing With The Stars fan right now. See why below…. Isn’t Tom Bergeron fun? Here he is talking about the ups and downs of hosting Dancing With The Stars and more. I hope he stays just the way he is. What kind of judge will Mandy Moore be like on Dancing With The Stars tonight? She and Tom Bergeron talk about it below for what she expects…. 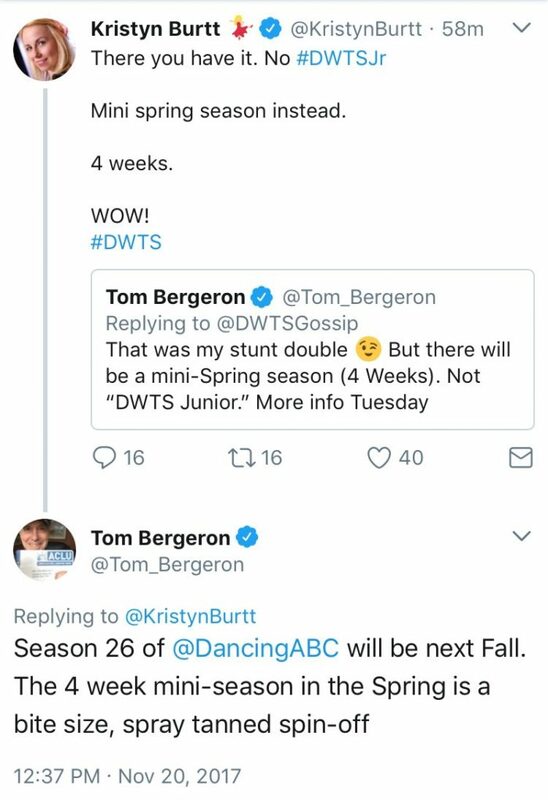 In Tom Bergeron’s latest facebook chat, Linz asked him why there hasn’t been any promotion for Derek Hough’s return to the ballroom? Geez….remember all the times in the past when TPTB would have promos and commercials for Maks Chmerkovksiy’s return to the ballroom? Don’t get me wrong, I loved those promos for Maks, but, why isn’t the show doing the same for Derek who has won 6 Mirror Balls (the most of anyone) and who is a 2 time Emmy winner for this show …and also much loved by fans? What’s more, and just like Linz just wrote to me, you’d think they’d want to promote the show even more being the College Basketball Finals are up against it tonight? Pretty sad. Thanks for listening to our rant and here’s to Derek and Julianne’s “Move Beyond” ‘Elastic Heart’ Part 2 performance tonight. Special Dedication and preview below courtesy of Derek’s Instagram…..